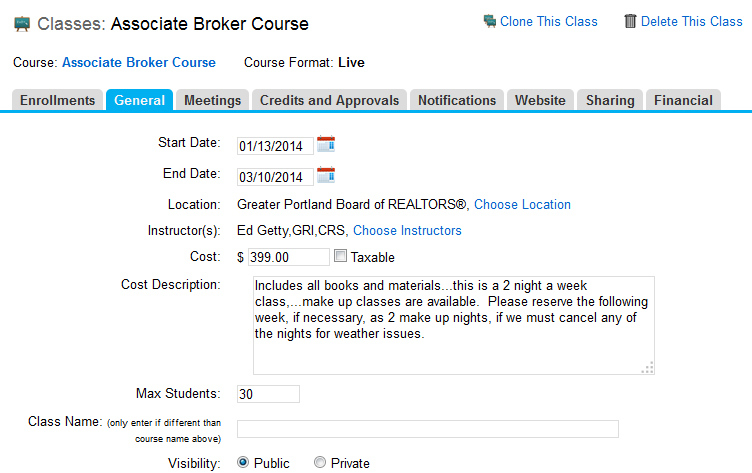 Your classes are easily accessible in a searchable, sortable database. 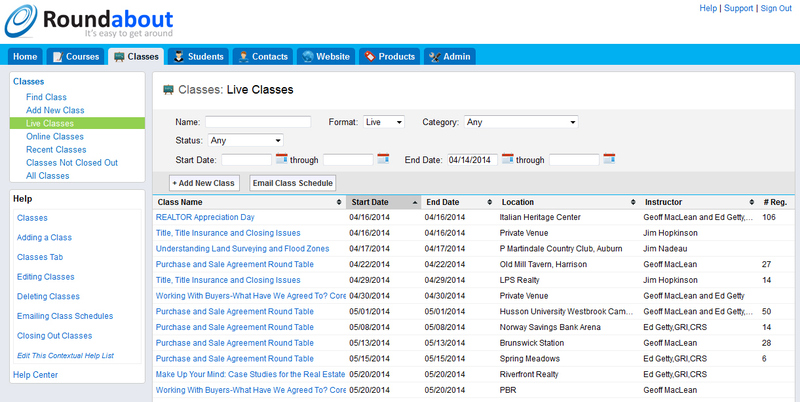 An overview screen offers a quick summary of your upcoming classes, with the ability to drill down for further details. All you need to do is enter information such course name, instructor, location, date and it will be in the system! Then, optionally track other helpful details such as state credits and approvals. Our exclusive Roundabout syndication system allows you to offer other real estate educators in our network the opportunity to market your classes. You choose a percentage of revenue sharing, they sell your classes and help you earn more, and Roundabout keeps track of it!